6/7/2013 - We are so amazed on how the members of BPAT and Barangay Tanod continue to show their commitment in putting their program forth. 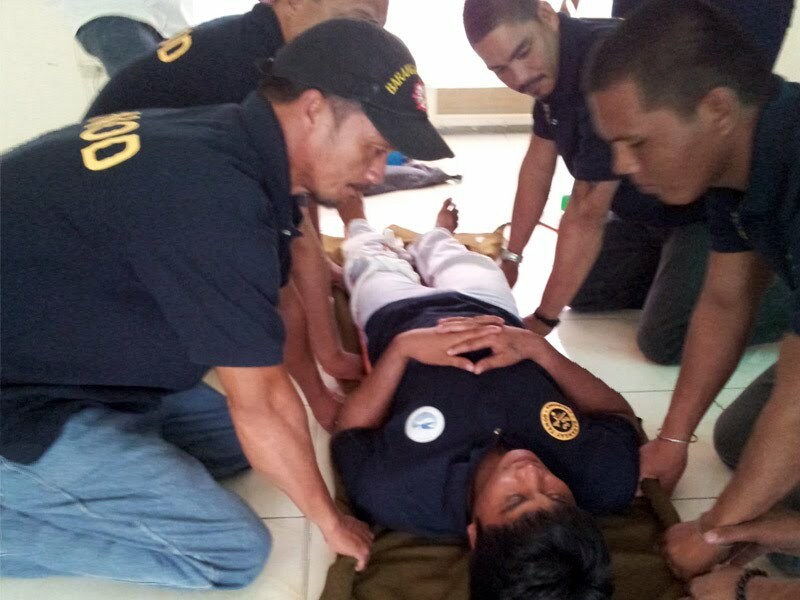 In June 07, 2013, another CPR and Basic First Aid Training was held with the help of CDRRMO headed by Engr. Dennis Mariano with Sir. Robert Carrion and Karlyn Inieto. This was a very important training welcomed by the members of BPAT and Barangay Tanod. They can respond with confidence every time there is a need in saving a life. The members believe that if trainings will be given to a number of volunteers, a lot more lives will be saved!